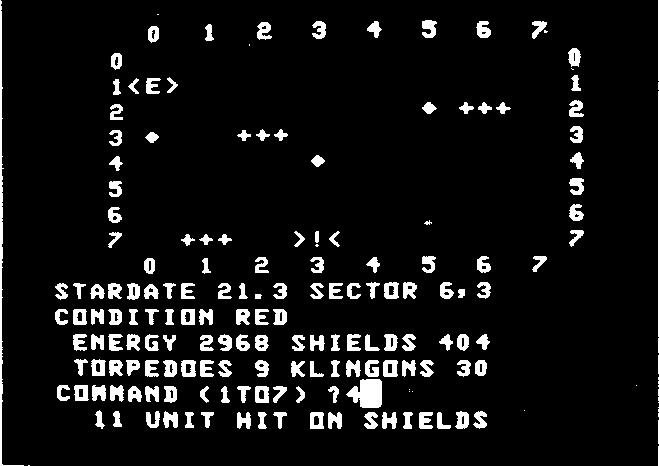 A full implementation of the now classic computer game in which you must rid the universe of Klingons. With short and long-range scans, galactic map, phasers, photon torpedoes, shields, etc. Program 5K, graphics 1K. 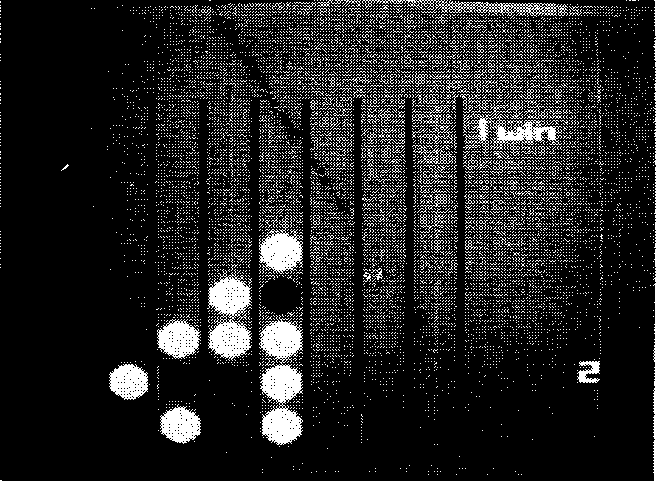 You and the computer take turns in placing marbles on the board, and the first to get a line of four marbles horizontally, vertically, or diagonally, wins. Program 5K, graphics 6K. Earth is being invaded by hostile aliens; armed with a laser-gun you must repel the invasions and avoid being hit by the gunner ships. If you fail, the mother ship lands and the invaders take over. 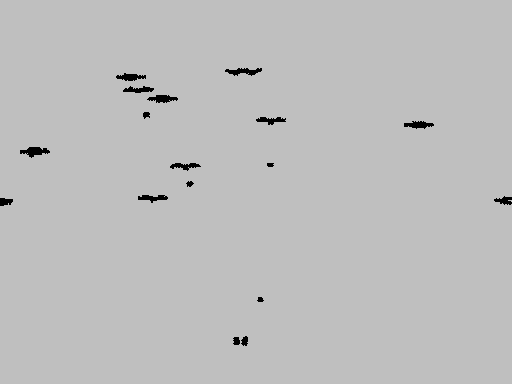 The game becomes progressively harder with each subsequent invasion; if you survive ten invasions the earth is saved! Program 3K, graphics 6K.